Over the years, many of us have been tempted (or hounded, in the case of Google Chrome) into trying a browser other than the one we’re used to. In many cases, the old won over the new because: (1) It is too much trouble to reset all your passwords and favorite sites; and (2) All browsers are pretty much the same, anyway. Most obvious is the user interface, which spreads icons of your favorite sites over the display window instead of in little lists on the periphery. It comes with a built-in ad blocker, plus the left sidebar includes a video player, image gallery, and download manager. 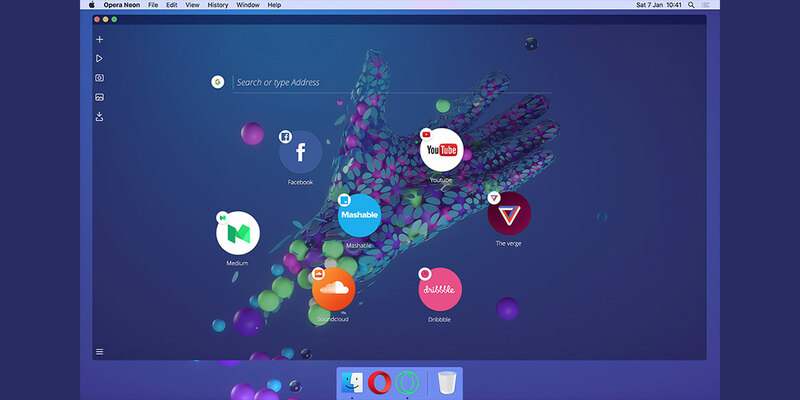 It also features a video pop-out that lets you watch videos while browsing other pages, and a split-screen mode that allows two pages to be viewed simultaneously. In addition, in a trial run on my machine, site access was noticeably faster than with Firefox or Safari. Neon is still a “concept browser,” so rather than replacing the current one, Opera will just incorporate some of its new features into the flagship browser. Windows and Mac users can give it a try for free by linking to www.opera.com/computer/neon.